Everyone should have at least one or two suitcases for those times when they need to travel. What’s frustrating, however, is coming up with storage solutions for your luggage in between those times. 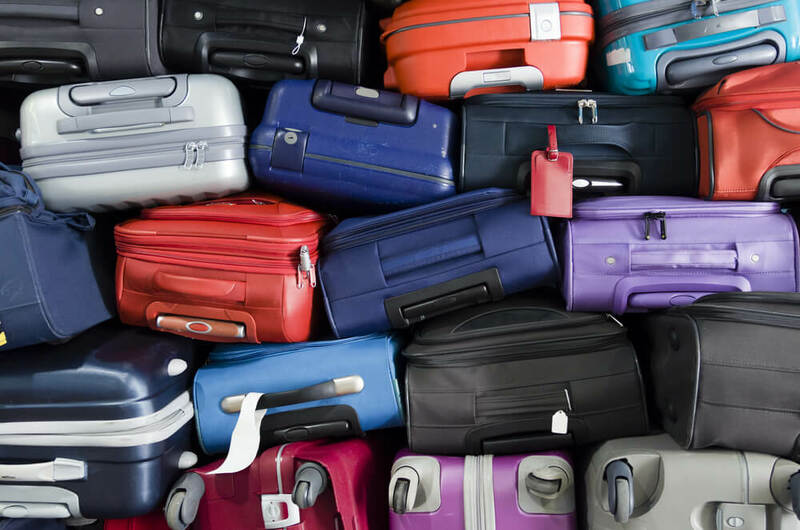 Here, we have tips to help you properly care for and store your luggage. If you’ve done a lot of traveling, then you know that suitcases and luggage can look pretty beat up after a while. Going from plane to plane to car to hotel and back again takes its toll on the bags and can leave them looking dingy and damaged. Before you delve too deeply into finding storage solutions for your luggage, you should clean them first. You can use disinfectant wipes to wipe down any plastic areas. A damp rag with dish soap can get rid of stubborn marks and stains. Vacuum and wipe down the inside of the luggage as well. Before you use any cleaning products, however, make sure you test it on an inconspicuous part to make sure it won’t damage the fabric. Also, make sure your suitcases are completely dry before putting them in storage. After you’ve cleaned your bags, check for any tears or dents and make sure all the zippers are working. It would be frustrating to grab your suitcase to go on a trip and find out that it doesn’t stay closed! Once you have your suitcases cleaned and dried, it’s time to start figuring out storage solutions. A common choice many people make is to store the smaller luggage inside the bigger bags, kind of like Russian nesting dolls. If you choose to do this with your luggage, consider putting each of the smaller bags in a trash bag before placing it into a bigger bag to help protect the inside of the luggage from any dirt and dust that didn’t come off when you cleaned it. If you only have a few pieces of luggage or pieces that don’t quite fit together, there are still some great storage solutions. Since suitcases are designed to hold items, use them to hold items like out-of-season clothing when not in use. This saves you from having to get an entirely separate container for those items and makes storing the luggage more useful. Looking for More Storage Solutions? If you’re searching for large-scale storage solutions, come check out Affordable Family Storage in Ozark! We offer storage units in several different sizes, perfect for whatever your needs. Stop by our storage facility today or reserve your unit online!